Today saw extremely mixed news on the immigration/deportation/borders front, as the Stansted 15 managed to avoid jail time, but the government successfully managed to carry out a charter flight deporting at least 15 people to Jamaica. A more detailed article by one defendant is available here. Upcoming End Deportations events include Here To Stay: Histories of Anti-Deportation Resistance on the 9th, People’s Trial of the Home Office & the Hostile Environment on the 11th, Open The Borders: Close The Home Office on the 13th, All Eyes On Becket House on the 15th, and the Planes and Perverts: Beats Against Borders fundraiser on the 16th. Meanwhile, further North, it sounds like the RMT campaign to keep the guard on the train has made serious progress after 47 days of strike action over the last few years, as strikes have now been suspended after Northern have offered a guarantee of a conductor on every train. While it’s too early to say for sure, this certainly seems like it might be a massive victory in one of the biggest and hardest-fought industrial disputes of the last few years. 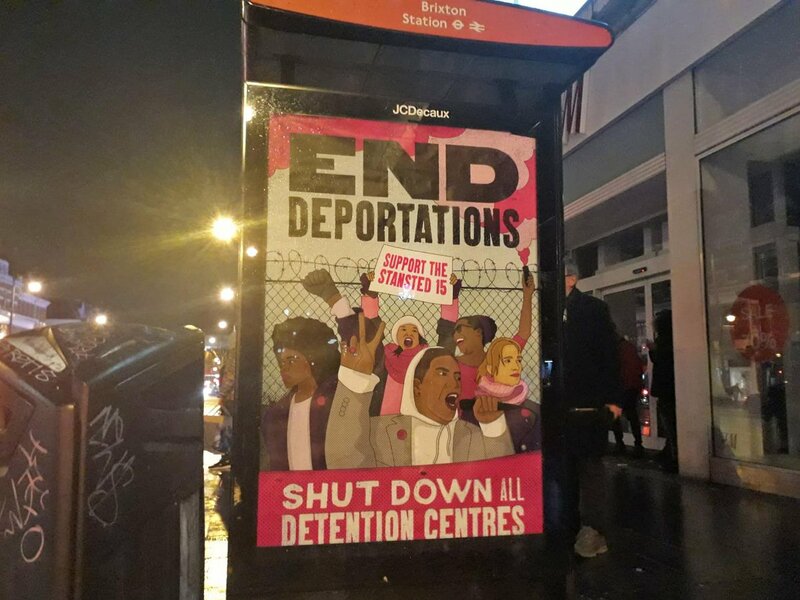 This entry was posted in Repression, Strikes, Stuff that I think is pretty awesome, Unions, Work and tagged deportations, End Deportations, rmt, Stansted defendants. Bookmark the permalink. Pingback: The Stansted 15 avoid jail, government carries out a mass deportation, and train guards beat Northern Rail: an eventful day — Cautiously pessimistic | Anarchy by the Sea!